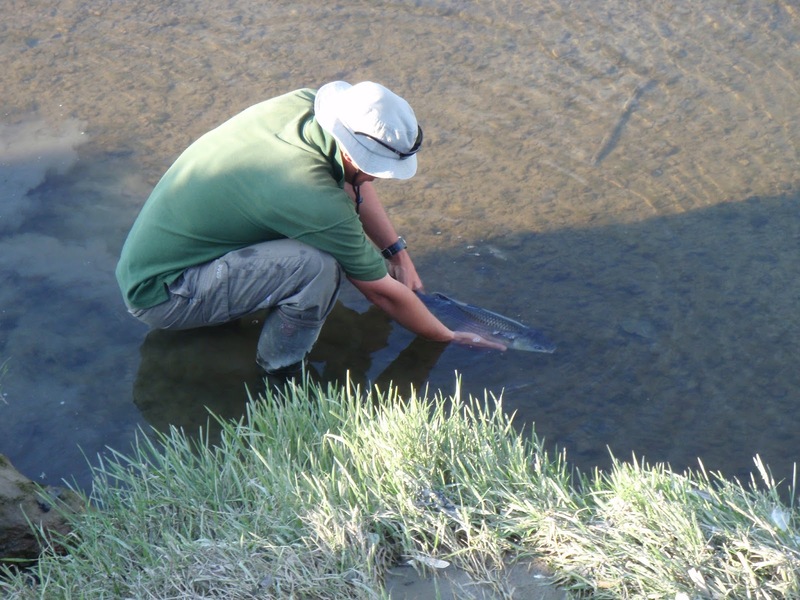 In part 2 of Pete’s excellent article he explains the methods he uses to target mullet. The following methods are those that I currently use to catch thick lips. They will almost certainly seem impossibly crude to seasoned coarse anglers, but if there’s one thing I’ve learned in all my years chasing mullet, it’s to keep it simple. I have found no value in messing around with fancy rigs or any more bits, bobs or widgets than is absolutely necessary. Before getting into the nitty gritty, a general piece of advice would be to not get obsessed with fishing for fish that you can see. Mullet are highly visible a lot of the time but often the ones you can see are just sunbathing or mooching (as we say down here in Cornwall) and will not look at a bait however well it is presented. Because of the mullet’s reputation for visibility, lots of people fall into the trap of believing that if you can’t see them, they aren’t there. More often than not, this is just not true, and since I learned to trust my instincts and fish ‘blind’, my catches have at least doubled, probably tripled. I guess the ‘purist’ way to catch mullet is on the float, and whilst I would never call myself a purist, it is still the method I find most rewarding. Most of my float fishing these days is done with a sliding waggler setup. My current float of choice for this is the unloaded version of the Drennan Puddle Chucker. The float is fished bottom end only sliding on the mainline and I use a rubber float stop above the float to control the depth. Of course a sliding stop knot could also be used and has the advantage of passing more easily through the rod rings. Below the float I attach a trace of 4lb bs fluorocarbon of about 3-4ft in length using a small swivel. I bulk the shot on the mainline above the swivel but may also add a dropper shot onto the trace if I’m fishing in flowing water and need the bread to sink more quickly and not drag behind the float – you would be amazed how long a piece of bread flake can take to sink when unweighted. Using this setup, I have caught lots of mullet in depths of 3ft right up to about to 20ft. The beauty of the sliding waggler lies in its sensitivity, but this can also be its downfall as it is no good in fast flowing and/or turbulent water because it constantly gets dragged under by the flow. When this is the case I will use a Drennan Loafer, either fished as a slider or fixed with float rubbers. In many open water locations it is necessary to use floats of up to 5SSG or even more, and this is where the bulky and buoyant loafer/chubber style floats come into their own. They are also very effective in fast shallow water. I have a number of very shallow swims on my local river where I catch mullet with a 2SSG loafer run through with the bread no more than a foot below it. Up until about 12 years ago I had never legered for mullet, believing wrongly that they could only be caught by float fishing. 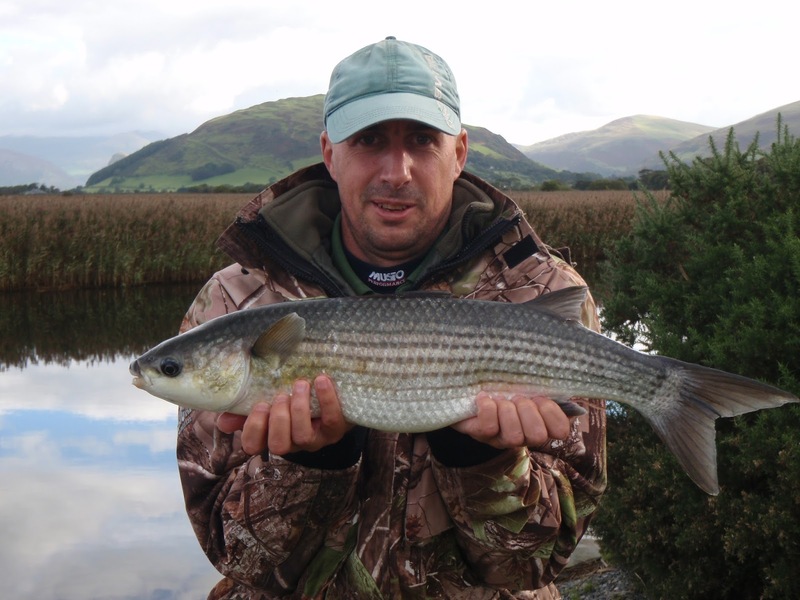 Then one warm September day, I took the plunge with a leger set up, caught 5 in a session and have never looked back. These days I catch probably as many legering as I do on the float. My favourite method is probably touch legering and I am fortunate in that a lot of my summer spots are conducive to this method. The rig couldn’t be simpler – a snap swivel running on the mainline to which the lead is attached, then a trace of about 5 or 6 inches of 4lb bs fluorocarbon attached with a small swivel. I rarely use leads of more than ½ oz for this and often as light as ¼ oz. 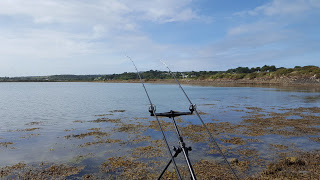 I simply cast into an area where I have seen fish, or think fish might be lurking, tighten down, hold the rod and feel for the bites with the line over the forefinger. Sometimes the bites will be so gentle you can hardly feel them, sometimes they’ll all but wrench the rod out of your hand. This is also a great way to sight fish, just cast in front of patrolling fish and watch them take the bread. Well that’s the theory anyway! The author with a stunning fish of 6lb 3oz caught somewhere in Snowdonia! The other main way I leger is with a quiver tip. This is most often employed at larger venues such as Christchurch Harbour where it is necessary to cast longer distances and where there can be long waits between bites. For this I use the same set up as above but with 1 oz in line method feeders running on the line in place of the lead. Alternatively you can use a lead, such as the 1.1 oz Korda gripper leads, and mould the crumb around that instead. I use a 50/50 mix of white and brown breadcrumb moulded round the feeder and usually fish two rods. Hook bait up until recently was the usual bread flake, but a good friend of mine has turned me onto crust on the hook. Simply pass the hook through from the flake side, turn it and insert back through the crust side so the point is in the soft bit. Inserting a small piece of grass between the bend of the hook and the surface of the crust prevents the hook pulling through and allows you to cast surprisingly long distances without it coming off. Crust has the advantage of popping up off the bottom out of any weed and away from crabs. 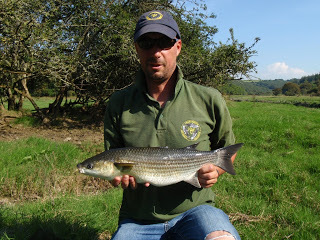 The fish really steam into this and it is not unusual to have a ‘shy biting’ mullet pretty much drag your rod in. I think it’s fair to say that the adoption of quiver tipping has revolutionised legering for mullet. The third method is to paternoster. I rarely use this nowadays but have done well with it in the past when fishing straight down under the rod tip, usually right in the margins at high tide. I just tie it up very simply with a three way swivel and the usual fluorocarbon trace. The difference being that this time the trace is at 90 degrees to the main line. A quick paragraph on groundbait. As mentioned above, for quiver tipping I use a 50/50 mix of brown and white crumb which I make myself from sliced loaves with a kitchen blender. As well as what goes on the feeder, I also catapult the odd loose ball into the swim. For all other applications, I use the same 50/50 mix but watered down so it just about holds together. This is introduced into the swim little and often either by hand or with a large spoon. For harbour or lower estuary/coastal locations, I usually mash some tinned pilchards into the bread mash. This adds scent but has the disadvantage of sometimes attracting ‘nuisance’ species like mackerel and garfish. The jury’s out though as to whether fishy groundbait catches any more mullet and it is quite likely the case that plain bread is just as good. 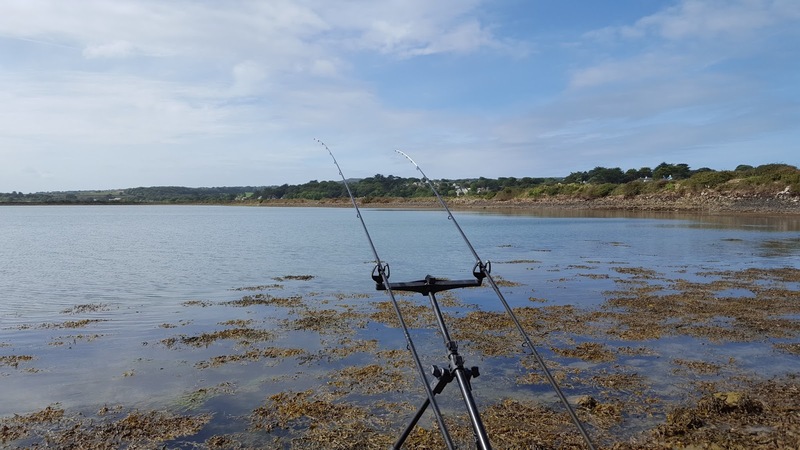 The whole issue of groundbaiting for mullet is often a matter of personal preference and can often be very venue specific. Indeed I fish a lot of places where groundbaiting seems to make no difference at all and I don’t bother with it. For the novice mullet angler it will be a case of trial and error. As I said these are the methods I currently use. I intend to have a serious go at fly fishing for them this coming summer but at the moment am in no way qualified to give advice on that. Likewise surface fishing which can be deadly on occasion but with which I have almost zero experience. As a final thought it is well worth giving night fishing a go. I have had many experiences where fish that had been unwilling to feed during daylight go absolutely berserk during night time. Mullet are slow maturing and slow growing fish. It is also thought that they only spawn every other year. These factors, allied to their tendency to occur in (often highly visible) shoals in inshore waters and estuaries, makes them particularly vulnerable to commercial exploitation. As numbers of other species, notably bass, have declined, mullet have been increasingly targeted by commercial fishermen. All available evidence suggests that mullet numbers have crashed as a result, and my own catch records and observations lead me to believe that the mullet populations in my local waters are a pale shadow of what they were even a short while ago. Fellow mullet anglers around the country report the same and mullet are currently rated by the Marine Conservation Society as 5 on their scale of unsustainability – ie the highest level, or least sustainable. 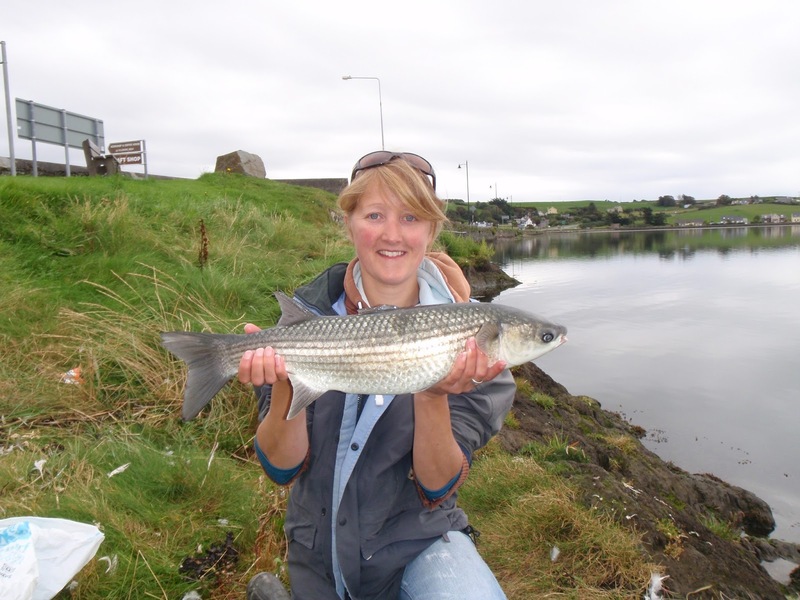 Although things are changing thanks to the efforts of the National Mullet Club and the Angling Trust, mullet still do not enjoy as much protection as many other species and will therefore continue to be vulnerable for years to come. 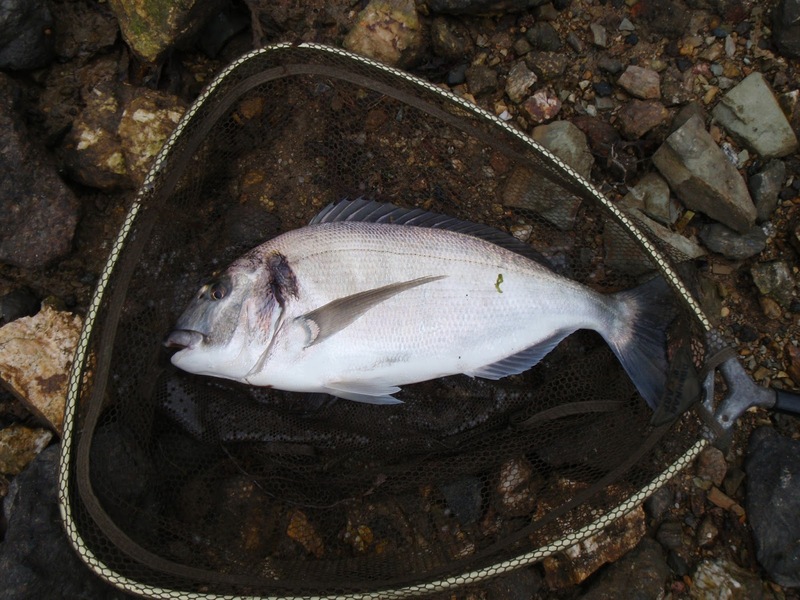 It is therefore vital that catch and release is practised wherever possible. These beautiful fish have far more value as a sporting quarry than on your dinner plate. 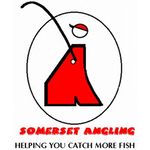 Mullet angling interests in the UK are represented by The National Mullet Club www.thenationalmulletclub.org Although a very small club in terms of membership, it’s hard to imagine a more passionate or knowledgeable group of people. 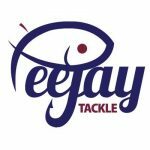 I have been a member for many years, including performing the role of catch recorder since 2009, and in that time have improved no end as a mullet angler thanks to the exposure to different ideas, venues and methods, not to mention the best mullet anglers in the country. For a good read on how to catch mullet, you could do worse than pick up a copy of the recently published ‘Fishing For Ghosts’ written by Mike Ladle and my very good friend David Rigden. What these two don’t know about mullet and mullet angling isn’t worth knowing. The Mullet brings back fond memories of fishing in Florida as kid. The old colored folks used a bamboo pole with a hook full of bread and a big treble hook about 6 inches below. Mullet bites the bread, a good yank and you have it on the treble hook. I had one experience in the 8 years I lived down there. A Mullet spawn out in the ocean off the beach we hung out at. I would say 10's of 1000's all circling and every predatory fish eating their fill. They drifted close to the fishing pier and one of my friends threw a cast net. It was so full and so heavy, he couldn't lift it. Ended up dragging it to the shore. We had lots of bait that day.